By Sia in Gadgets. May 9, 2017 . Just weeks before Microsoft’s Build 2017 was supposed to take place, the company held a special #MicrosoftEDU event where it introduced two new products that are targeted towards the education industry. 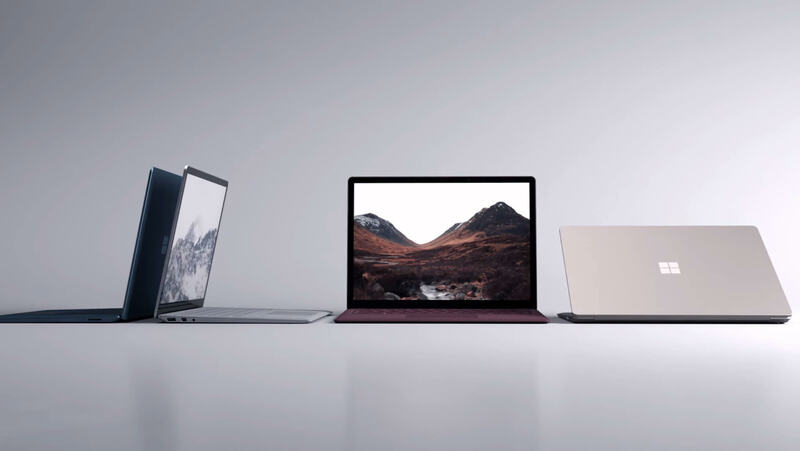 The first is the all new Surface Laptop, while the second is a new variant of Windows 10 called Windows 10 S.
We begin this article by taking a look at the Surface Laptop, Microsoft’s newest hardware offering after the Surface Studio. Unlike previous hardware developed by Microsoft, the Surface Laptop is a machine that doesn’t sport many gimmicks. Like the name implies, this device is a traditional laptop. As such, it doesn’t have the 360-degree rotating screens or detachable keyboards that many 2-in-1s have these days. Despite the lack of a fully-rotational hinge, the screen of the Surface Laptop is nothing to sneeze at. This device comes with a 13.5-inch PixelSense touch display, which is the display that was used on the Surface Studio. The display itself has an aspect ratio of 3:2 and a resolution of 2256 x 1504. The screen supports both the Surface Pen and the new Surface Dial, although those need to be acquired separately as the Surface Laptop doesn’t ship with them. Much like other laptops, the Surface Laptop comes in a many configurations in order to suit the user’s needs. 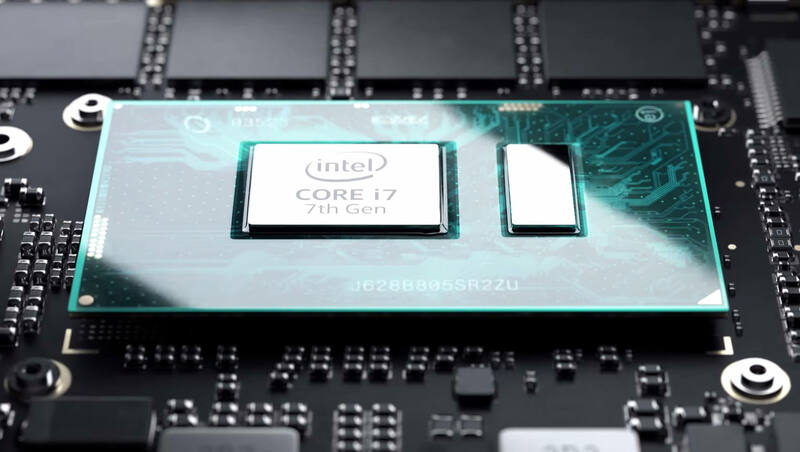 The laptop can pack either a 7th Gen (Kaby Lake) Intel Core i5 or i7 processor, has up to 16GB of RAM, and comes with an SSD that can have up to 512GB of storage space. The laptop will run on the new Windows 10 S operating system, but we’ll get to that a bit later. 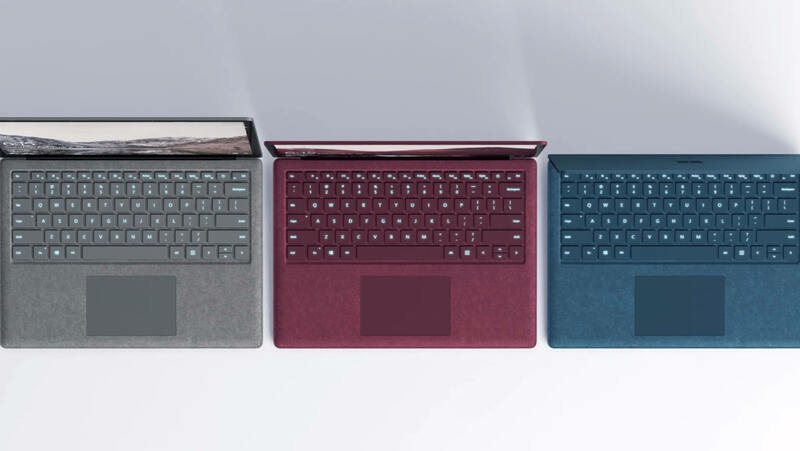 As for the other parts of the Surface Laptop, the device comes with an Alcantara-covered keyboard, which is the same material that was used on the Surface Pro 4’s Type Cover. Ports wise, the Surface Laptop comes with a USB 3.0 port, a headphone jack, a Windows Hello-compatible camera, and a mini DisplayPort. On the peripherals side of things, apart from the aforementioned Surface Pen and Surface Dial, Microsoft has also introduced the Surface Arc Mouse, a Bluetooth mouse that ditches the standard left and right buttons for a single touch-sensitive panel instead. The Microsoft Surface Laptop will have a starting price of USD999 for the base configuration, with preorders beginning on May 5th and general availability scheduled for June 15th. The Surface Arc Mouse, on the other hand, will retail for USD79.99. 13.5-inch PixelSense Touch Display with an aspect ratio of 3:2 and a resolution of 2256 x 1540. 7th Generation Intel Core i5 or i7 Processor. Up to 16GB of RAM, up to 512GB of SSD storage. Runs on Windows 10 S.
Supports all Surface peripherals such as the Surface Pen, Surface Dial, and the new Surface Arc Mouse. 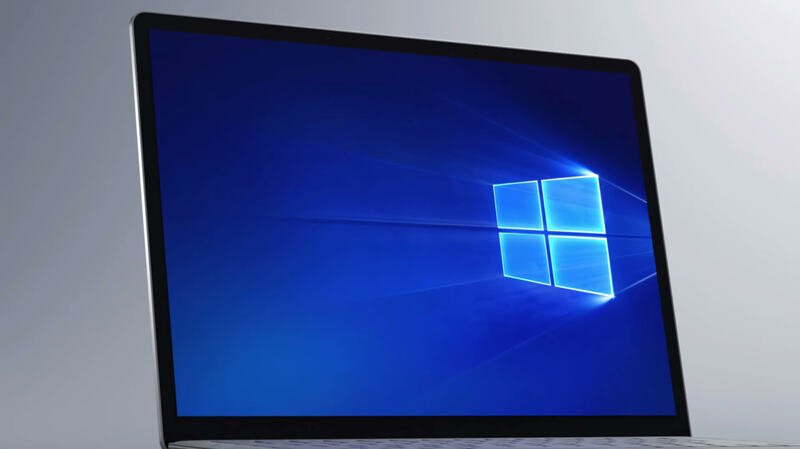 Now that we have the hardware out of the way, let’s take a look at Windows 10 S.
Joining the ranks of Windows 10 Home and Windows 10 Pro, Microsoft has introduced Windows 10 S, the education-focused version of Windows 10. 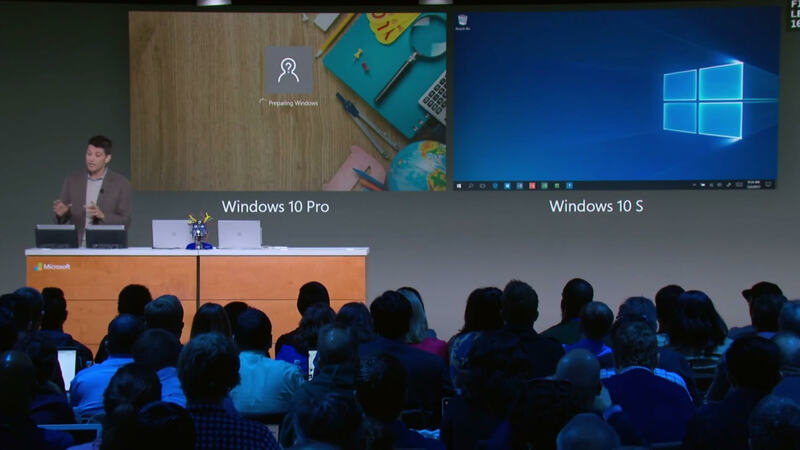 Essentially Windows 10’s own version of Chrome OS, Windows 10 S is a simplified and streamlined version of Windows 10 that is made to run on both low end devices and high end machines. So, how streamlined is Windows 10 S? 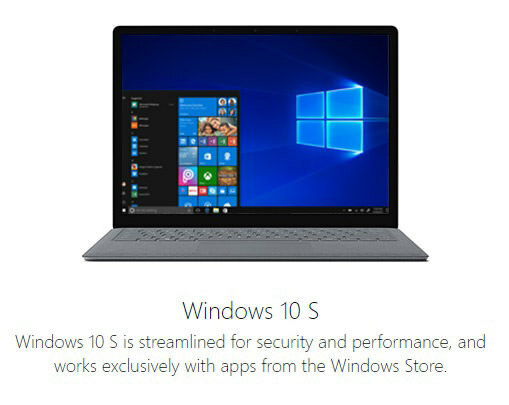 According to Microsoft, Windows 10 S has been streamlined in such a way that the OS would only take 15 seconds to complete its initial setup before it is ready to be used. 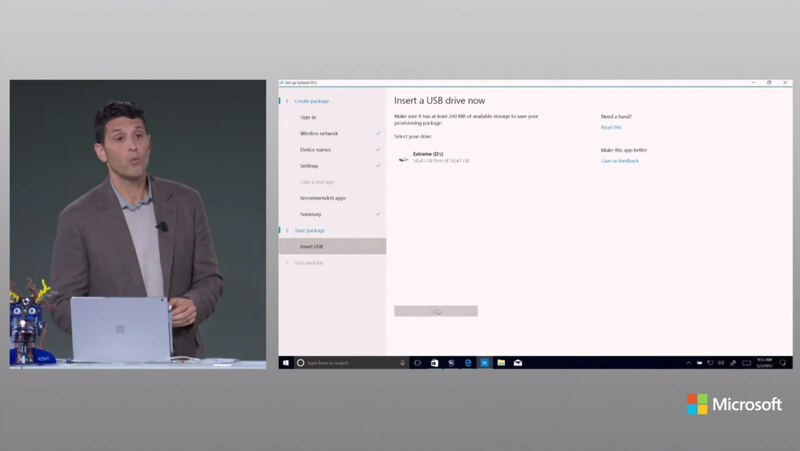 Taking streamlining even further, Microsoft has mentioned that users will be able to store preconfigured settings onto a USB drive and transfer them onto another Windows 10 S-powered machine. On top of that, Microsoft has also included the Setup My School app and Intune for Education which assists school administrators to deploy and manage Windows 10 S PCs. 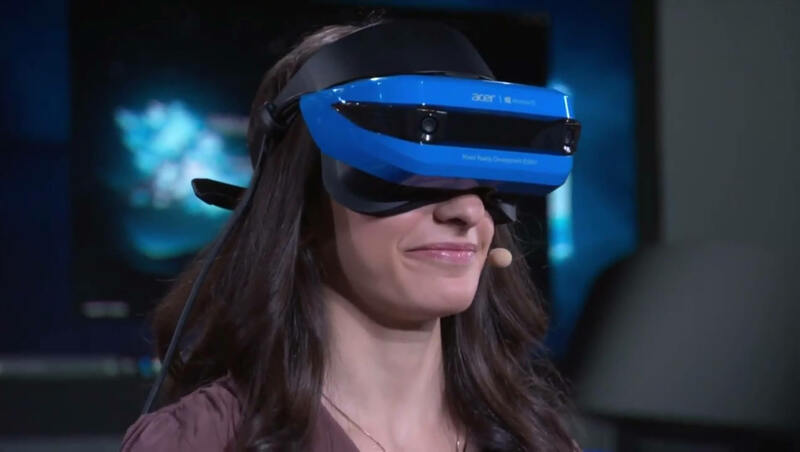 Interestingly enough, despite the fact that Windows 10 S is meant to be a lightweight version of Windows 10, the OS is still capable of supporting the upcoming Windows Mixed Reality headsets. This could mean that higher end machines running on Windows 10 S will potentially be able to support Windows Holographic. While Windows 10 S sounds good so far, this particular operating system does come with some pretty strict restrictions. For starters, those who are looking to install apps on a Windows 10 S powered machine can only choose from apps that are found on the Windows Store. Should a user attempt to install an app that was acquired outside of the Windows Store, the OS would launch a pop-up window that suggests similar apps that can be found on in the store instead. This restriction alone means that those looking to use a Windows 10 S machine for their Adobe related work should probably look elsewhere. Another restriction that Windows 10 S has lies in the web browser. Seeing as no other browser is currently available on the Windows Store, Windows 10 S users will be forced to rely on Microsoft Edge at launch. In the event that an alternative web browser makes its way to the Windows Store, the user will be able to download and use it. However, the default web browser will be permanently set to Microsoft Edge. Additionally, the default search engine for Edge is permanently set to Bing, so you can’t change that either. If all of that sounds like a major dealbreaker to you, you’ll be relieved to know that there is an upside to it. 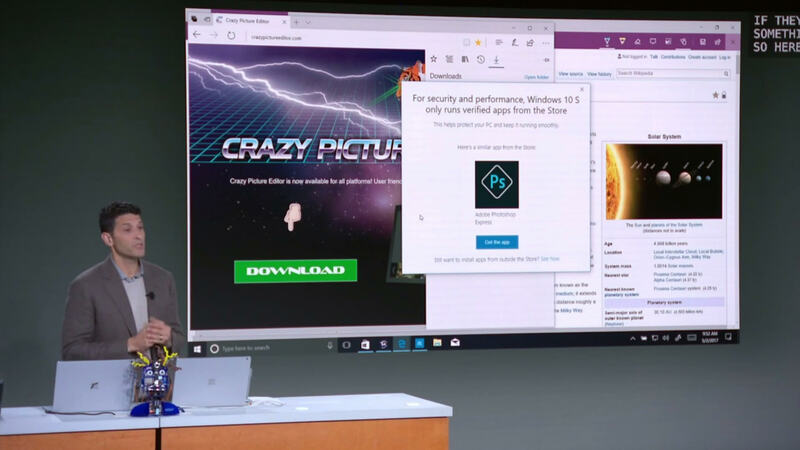 Windows 10 S users will have the option to upgrade the OS to Windows 10 Pro for just 49 USD. 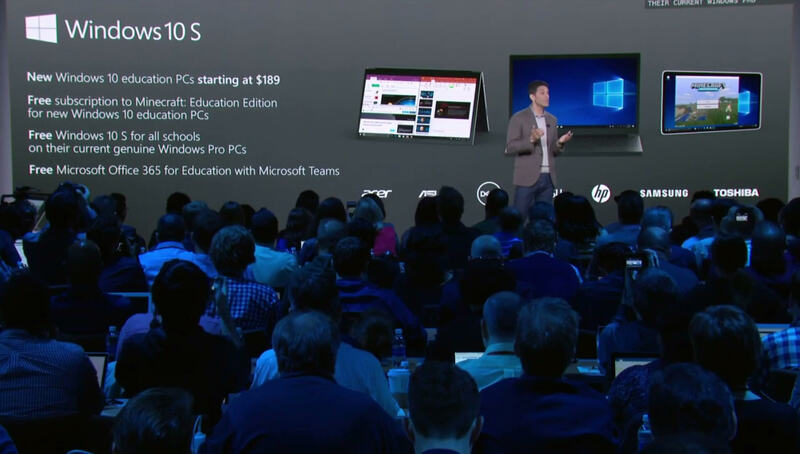 Windows 10 Home users who wish to upgrade to Windows 10 Pro will need to pay 99 USD for it. If you’re a student, teacher or school administrator that uses a Windows 10 S device, the Windows 10 Pro upgrade will be available for free. Those who purchase the Surface Laptop will also get a free upgrade from Windows 10 S to Windows 10 Pro, but the offer will only be available until December 31st 2017. As for availability of Windows 10 S, the OS will only be available on new devices made by various Original Equipment Manufacturers (OEMs) such as Dell, Acer and many more. These devices are expected to have a starting price of USD189. There is no current plans for Microsoft to release a standalone version of Windows 10 S at the moment, but that could change in the future.